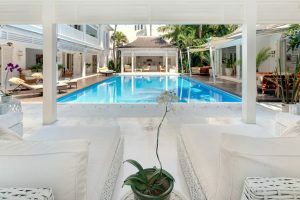 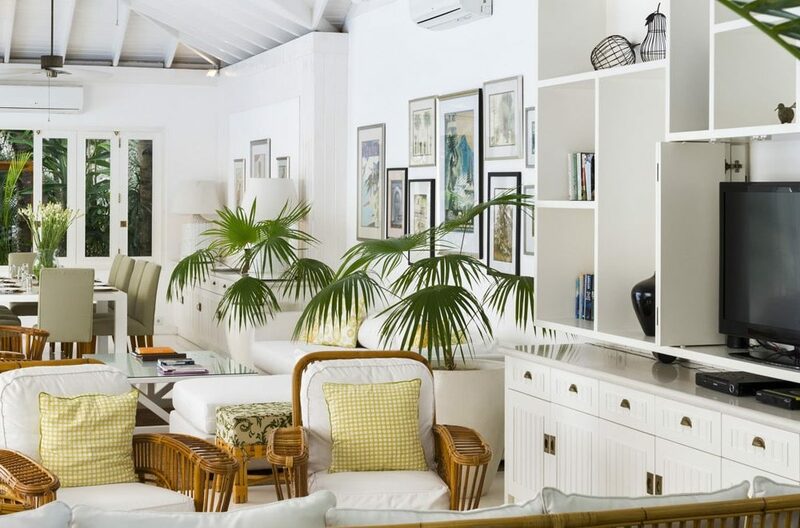 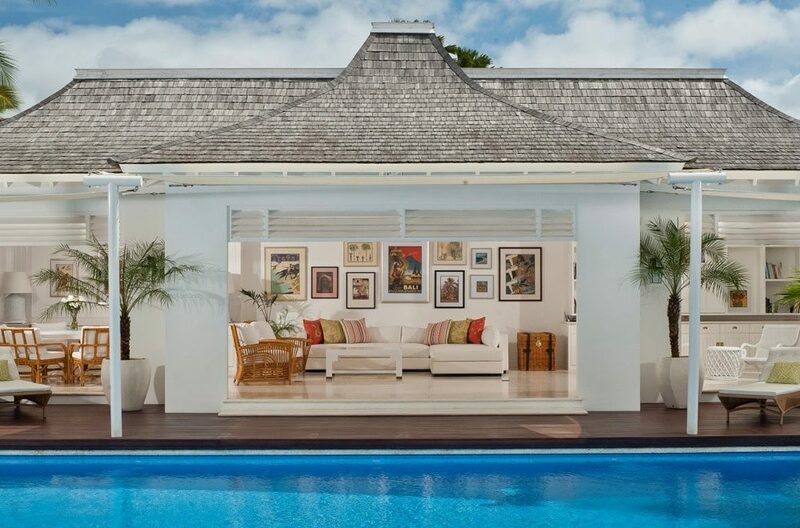 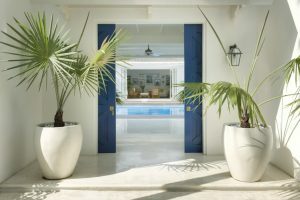 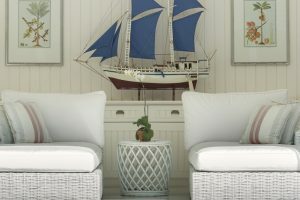 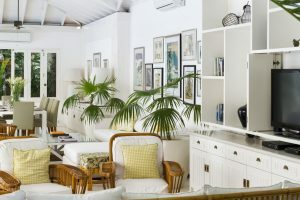 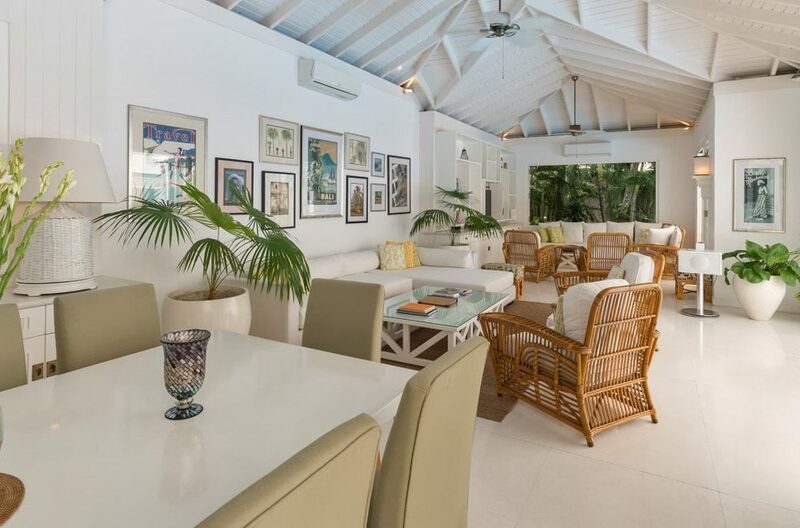 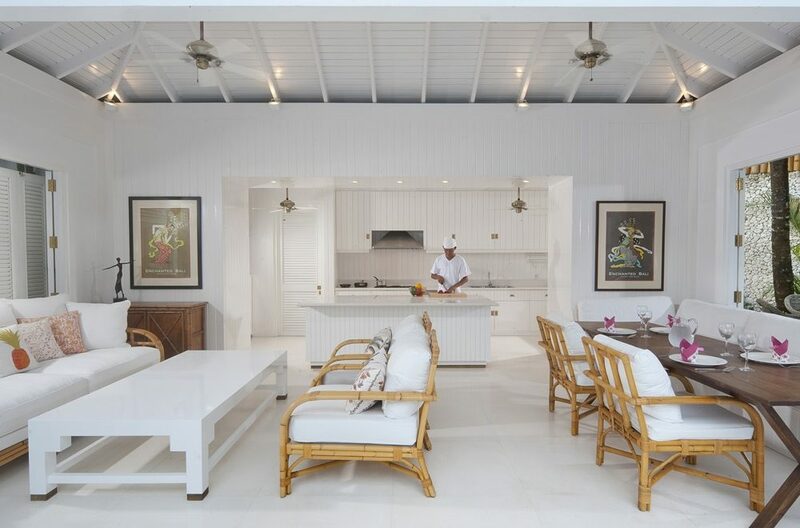 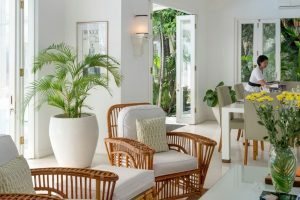 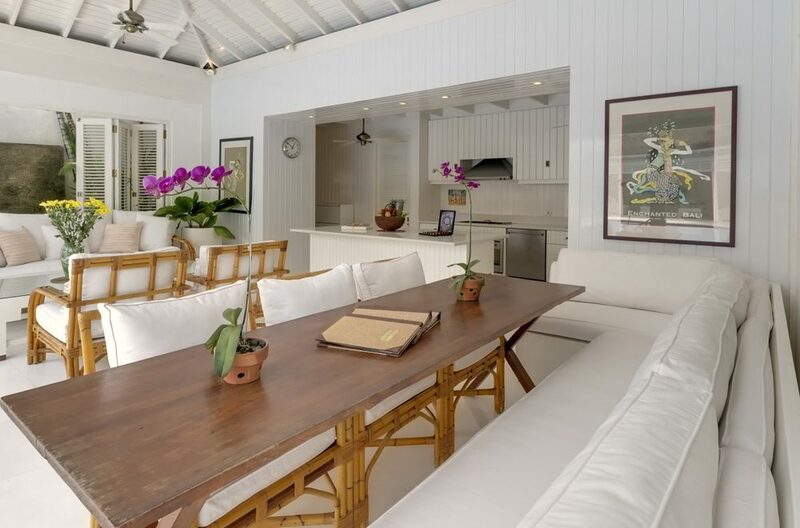 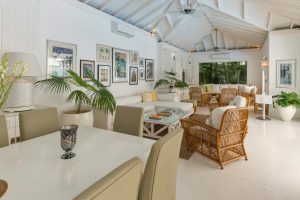 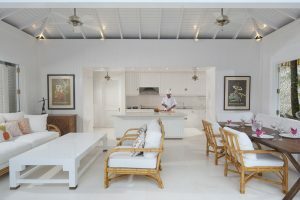 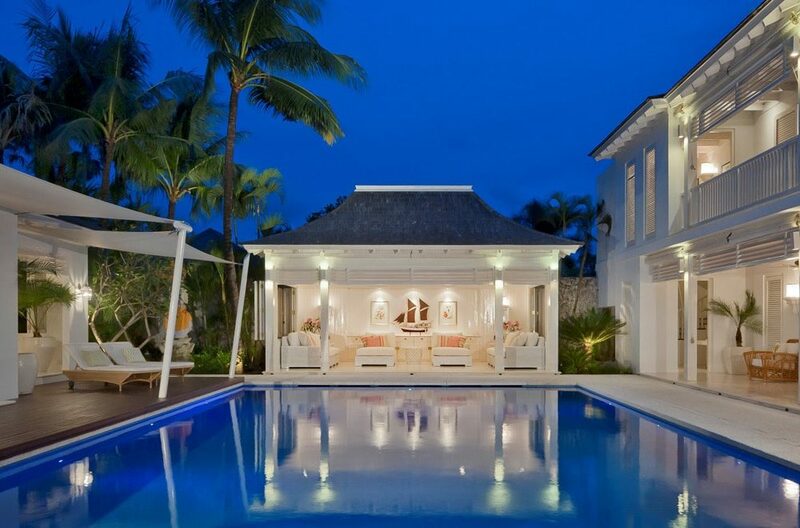 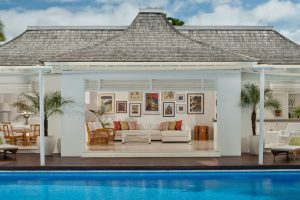 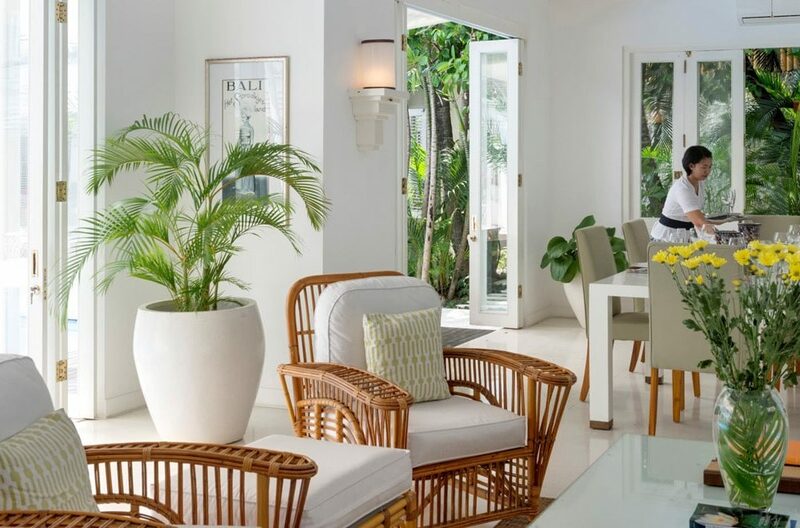 Indoor living pavilions sit beside the perfect azure style pool and feature cooloing white floors, custom built timber wall panelling, bamboo and wicker sofas and chairs, white panelled ceilings with brass ceiling fans create an ambience possibly found in the West Indies or Bahamas. 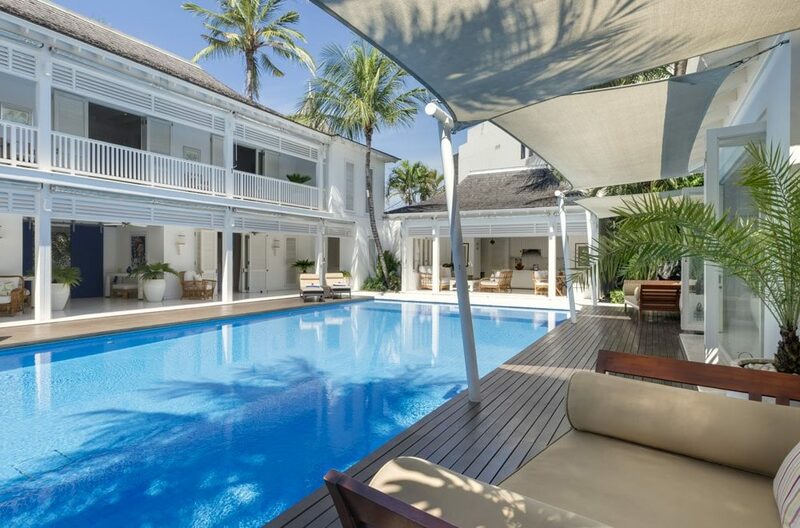 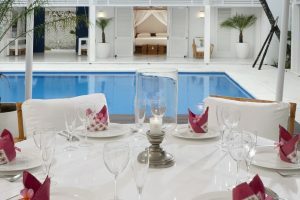 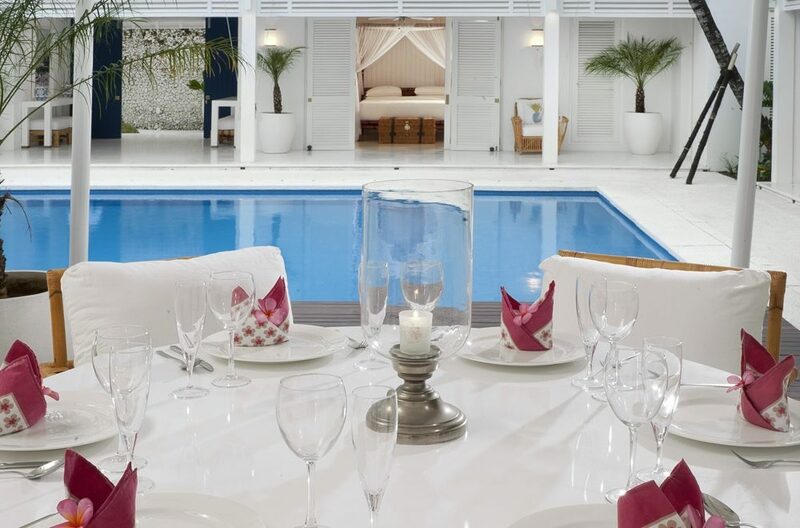 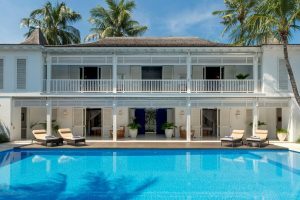 The pool is encircled by a rich timber decking spotted with sun lounges and day beds. 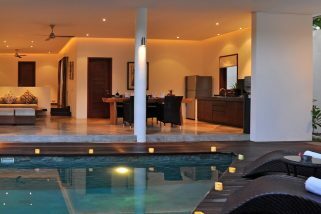 The villa can accommodate up to 8 adults or can be configured for 6 adults and 4 children. 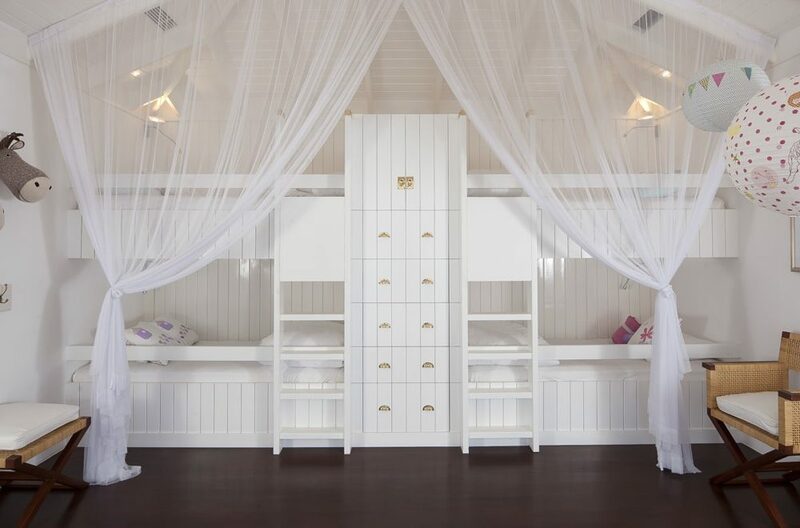 There are four en-suite bedrooms with 3 king size beds, the bunk room can also provide an extra king size bed if required. 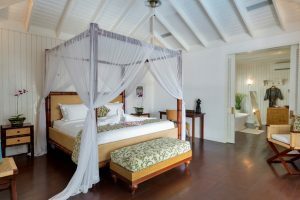 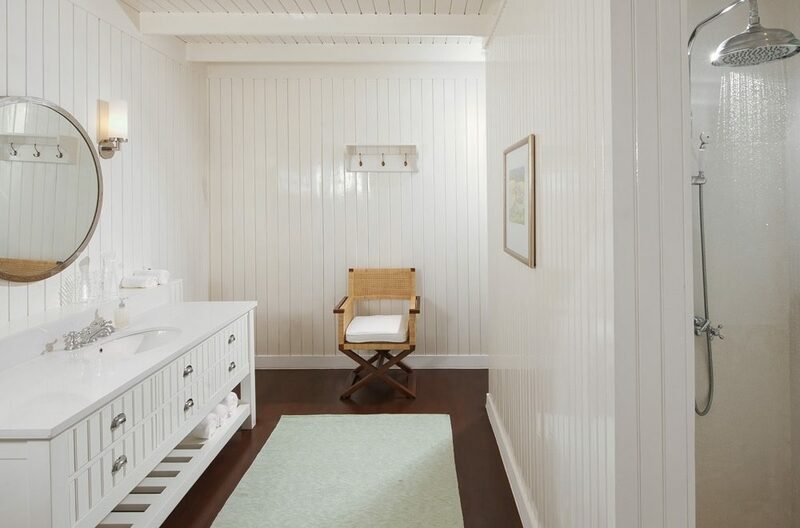 The rooms are beautifully appointed with tasteful furnishings and the double vanity en-suites also have stand alone baths. Villa Lulito is serviced by highly trained staff and take great pride in ensuring all guests have a pleasant and relaxing stay. Housekeeping staff maintain the villa impeccably and the villa manager will attend to your every need. 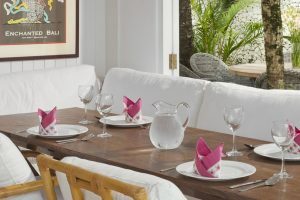 Staff are on hand to guarantee a luxury holiday experience beyond all expectations is a capable crew of staff, including a private chef, butlers, and housekeepers. 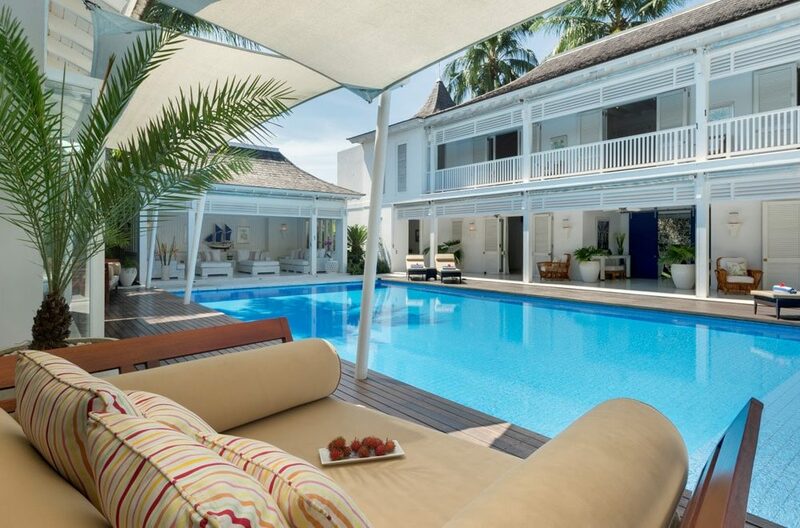 For your daytime activities he villa is located close to Petitenget Beach and just a short stroll from some of Bali best Boutique shopping. 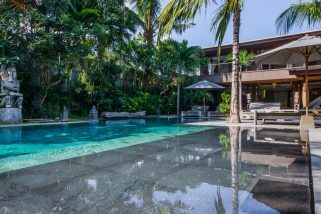 The villa is surrounded by some of Bali most iconic restaurants, bars and cafes including the W Hotel, Hu’u Bar, The Deck, Mint Bar, Sarong, Ku De Ta, Woo Bar and Petitenget Cafe. 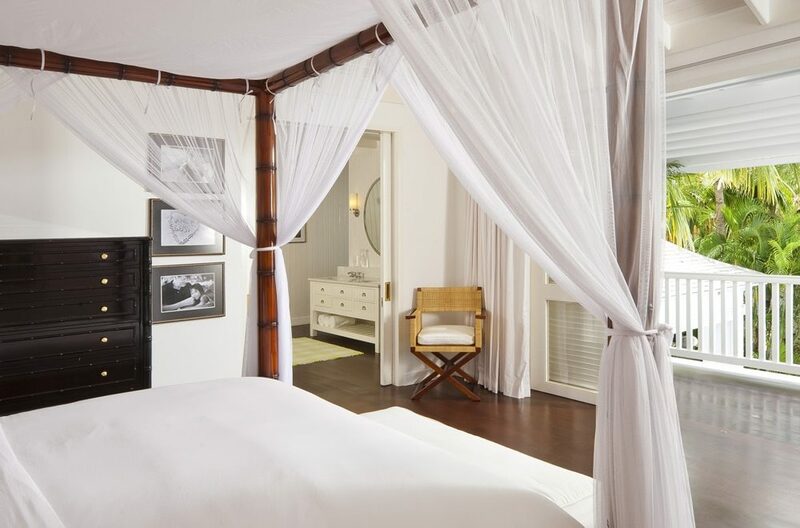 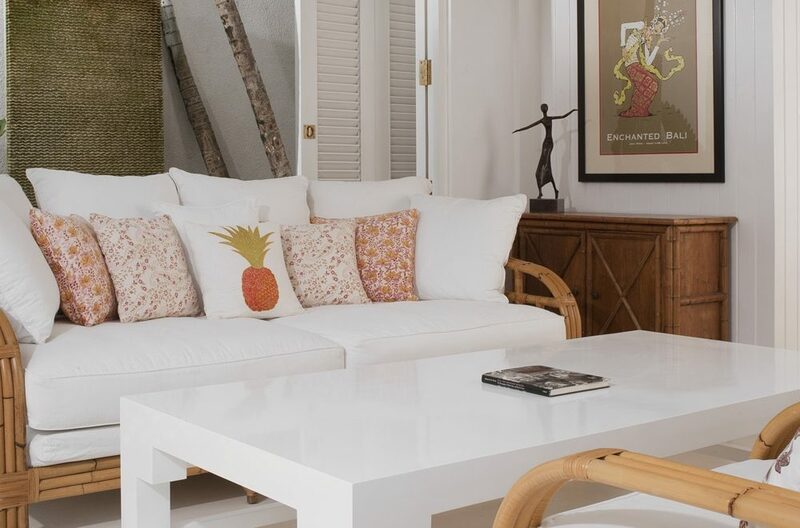 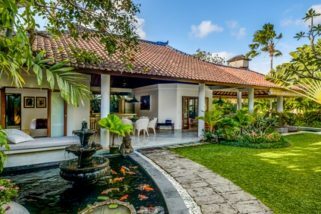 If you’re looking for a vibrant, tropical gem close to the hustle and bustle of Seminyak, then Villa Vitari might be the one. 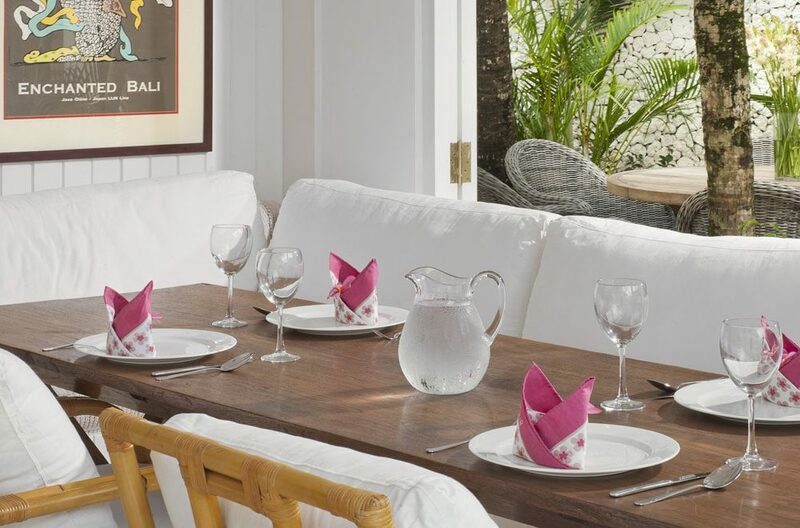 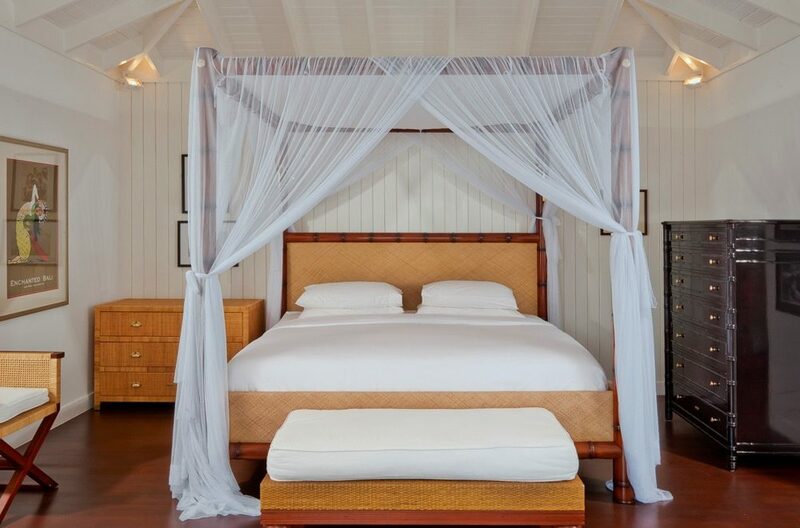 Villa Vitari is a 3 bedroom villa that’s guaranteed to provide guests with a small slice of island paradise.